to try participatory budjeting in the city. The election date was 9 April 2017. 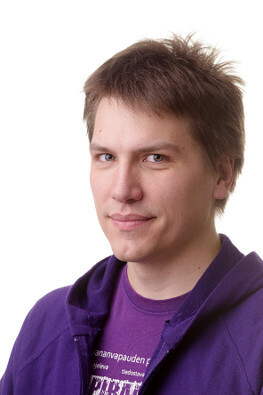 I’m Miika Hämynen, born in 1986, living in Jyväskylä, Finland. I graduated from the University of Jyväskylä in 2012, having studied French, English and Information Technology. I analysed the translations of the Finnish video game Trine in my master’s thesis. I’m currently working at the Finnish social security institution Kela. I spent ten years of my childhood in Senegal, which had a profound effect on my views on the world. I find it easier to integrate into new cultures or adapt to new situations, and I never feel one problem can be solved in just one way. I ran in the Finnish parliamentary elections (in Central Finland, number 115) which were held on 19 April 2015. My result was 180 votes. 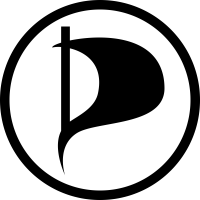 I’m a candidate of the Finnish Pirate Party, which aims to update our notions of copyright legislation, stands for our rights to privacy and questions the patent system. I want to build a society that is freer, cleaner and helps to create opportunities. I have also participated in previous municipal elections in Jyväskylä in 2012, receiving 68 votes. If you are interested in contacting me, you can send me an e-mail (miika.hamynen [at] piraattipuolue.fi), or through social media services such as Facebook, Google+ or Twitter. If you want to fund my campaign, you can do it through my party (only in Finnish, sorry).